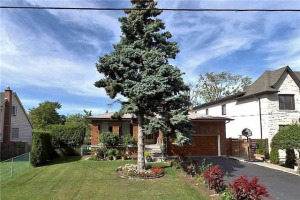 One Of A Kind In The Heart Of Willowdale! Very Solid Charm Filled Beauty On A Unique 'Country' Setting In The City Just Steps To Churchill/Willowdale Schools. Easy Walk To Subway. Exposed Beams Through Spacious Rooms. House Was Raised With New Bsmt Built In 1970'S - Finished Bachelor/In-Law Suite Plus Workshop Has Super High Ceilings And Large Windows.Gorgeous Cedar Hedges. 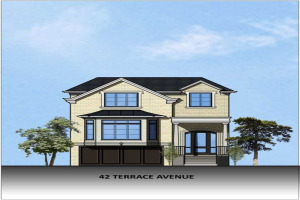 Get Those Creative Juices Flowing And Make This One Your Dream Home! Light Fixtures, Oil Tank 2011, Hot Water Radiant Heat, Exposed Beams, Front Porch, Flagstone Walks/Patio. Large Windows In Bsmt. A Hidden Gem Close To Schools, Parks And Subway! Sketch Of Survey. 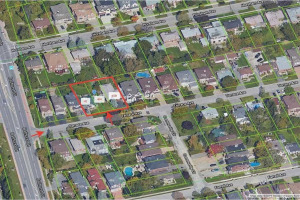 Triangular Lot Is Super Private!